Last night I was invited to a VIB (Very Important Bloggers) event at the Intu Metrocentre in Gateshead for the launch of Fashion Live 15. 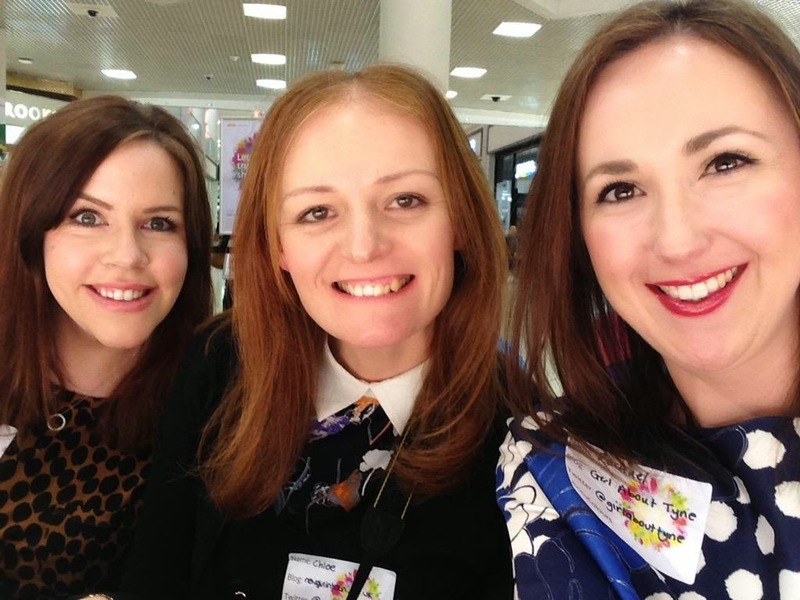 I was joined on "the frow" by my friends Lisa and Rachel along with lots of other North East Bloggers. Forgive us being complete geeks but we had to take a selfie! This was probably our only chance to ever be on the frow. After munching on mini cupcakes and macarons, just about resisting the Krispy Kremes and downing a few cocktails we eagerly took our seats for some fashion fun! 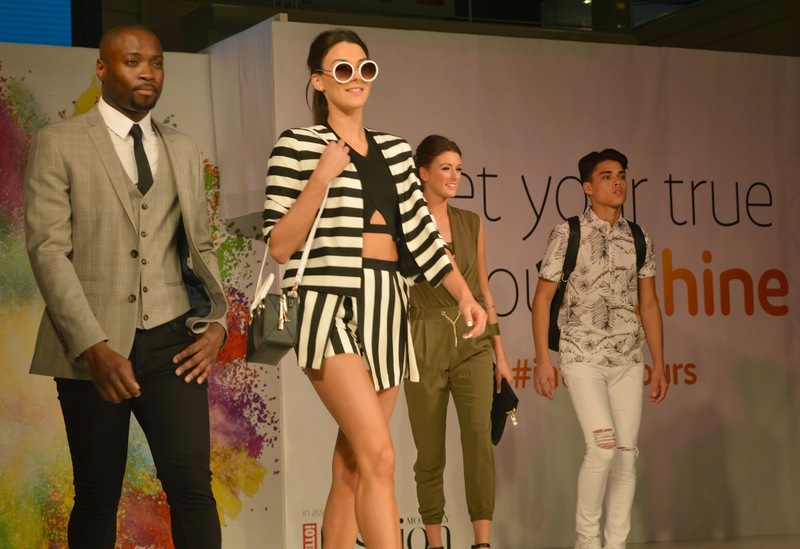 We got a little sneaky preview at what will be taking place in the Metrocentre this weekend with a catwalk from some of the Mall's best stores. My favourite of the night were these gorgeous prints from French Connection. Perfect splashes of colour for spring, and I really want the trousers! This collection is called "Isla Ripple" and is inspired by the ocean. 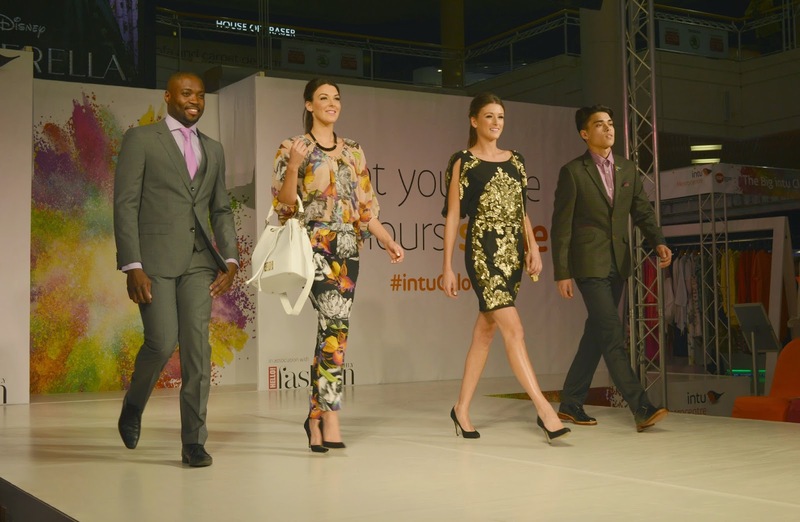 Intu Metrocentre are celebrating colour with catwalks showcasing retailers across the Mall this weekend, you can catch fashion shows throughout the day tomorrow, Saturday and Sunday. There is also the chance to win £500 to spend in the Mall with a selfie competition (I hope yours is better than my awful attempt!) and a Clothes Drop in aid of Centrepoint, a charity set up to help young homeless people. I've never been scared of colour but I know a lot of people hide behind their safety blanket of black clothes. Intu Metrocentre are encouraging their customers to embrace colour - whether it be a bold and bright outfit or some colourful accessorising. The Fashion Shows are the perfect chance to have a little look at the new colourful looks for S/S15 and if you're still feeling a little nervous about playing with colour you can always book some time with one of the Metro Style Team. For £15.00 an hour they will take you round the Mall to help resolve any fashion crisis. 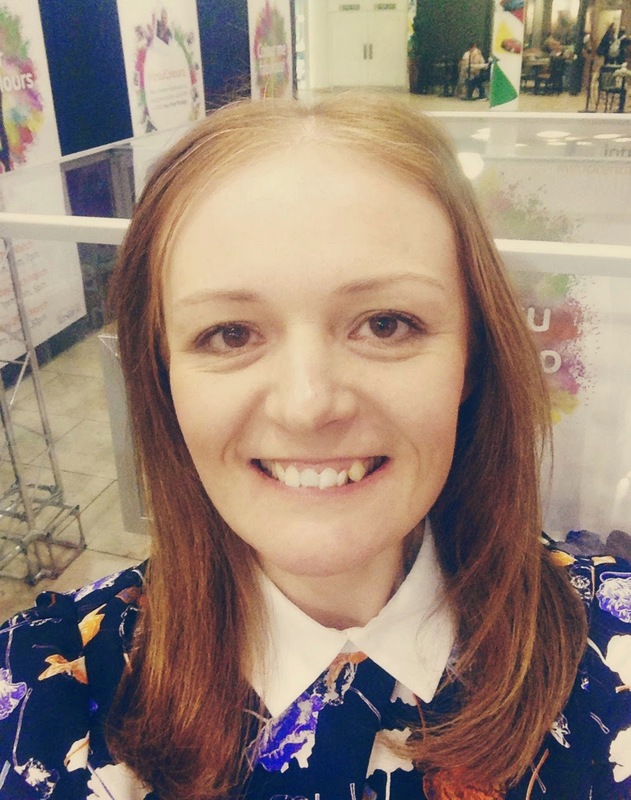 I found the fashion show really inspiring and, showcasing a wide spectrum of stores in the Metrocentre, it was all affordable, wearable and fun fashion. Make sure you head to the Metrocentre this weekend to let your true colours shine! I can't wait to have this on my doorstep! I'm a bit of a monochrome girl through the winter but I can't wait to get colourful & creative again this spring/ summer season! I was pretty excited when I moved and had the Metrocentre right on my doorstep. It's taken me forever get my bearings with it though, it's so huge! I have notes saved in my phone about what shops are in which colour mall!